Compliance News: A blog on regulatory compliance and quality assurance topics, including current Good Manufacturing Practice (GMP), Good Clinical Practice (GCP) and Good Laboratory Practice (GLP). The European Medicines Agency (EMA) has released an updated pharmacovigilance management plan to deal with the introduction and proliferation of unsafe medicines into the EU's pharmaceutical supply chain. In its 13 August 2012 posting, EMA explained its plan, has been in operation for nearly three years and applies to all medicines approved within the EU, including those approved by the decentralized and mutual recognition procedures. The plan had recently been updated to reflect the EU's new pharmacovigilance legislation, which should allow regulators to responds to serious and potential threats even faster, EMA said. "Although the management of the large majority of emerging public health concerns related to the use of medicines has been possible by applying so-called routine measures, in a limited number of cases, commonly described as 'crisis' situations, specific measures had to be taken to allow for an efficient management," EMA explained. "This has been possible through the availability of dedicated 'crisis' management plans at national level." As part of the plan, EMA said it conducts continuous monitoring of serious adverse events to understand their effects on the broader healthcare system—a process it refers to as proactive incident management. By actively monitoring events, it said it hopes to prevent crises from occurring in the first place with the help of a flexible framework that allows for a coordinated and expeditious response. The agency said signed Memoranda of Understanding between EMA and National Competent Authorities (NCAs) to share EudraVigilance data and other safety data are a strong component of the coordinated response portion of the plan. "This should allow for a more global approach at EU level in relation to the management of 'crisis' situations," noted EMA. While the plan is intended to cover a range of issues—quality, efficacy and safety concerns among them—EMA said the majority of cases, in its experience, concern pharmacovigilance issues. Many of these problems require an EU-wide response immediately to take a product off the market or conduct more targeted vigilance measures. EMA also noted that emerging issues may be elevated to an EU-wide response if they are deemed to be a serious potential threat. EMA describes the plan as consisting of two pillars of support: a dedicated management structure contained at the EU-wide level and a procedure administered by the former. The management structure takes a bifurcated approach toward the exchange of information. A Rapid Alert system communicates urgent safety risks to regulators, while a Non-Urgent Information system funnels potentially serious incidences to the same. Both sets are reviewed by the Incident Review Network—a digital network of EU regulators from EMA, NCAs and the European Commission—which then recommends action to the EU crisis management team. This crisis management team is composed of an EU Executive Task Force charged with confirming a crisis and initiating a response and an EU Operational Task Force charged with responding to the crisis and recommending changes to avoid the crisis in the future. The entire RINMP involves a seven step process in which it monitors a threat, evaluates it, confirms the threat is a crisis, initiates and monitors a response, confirms the crisis has been abated and takes steps to determine how it could be prevented from happening again. 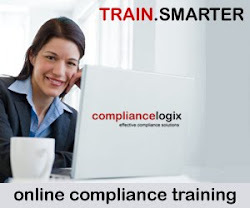 Posted by ComplianceLogix. Awesome Inc. theme. Powered by Blogger.